The half an hour before tea produced one of those “Oh, my!” moments. During that time Mark Wood bowled a succession of deliveries in excess of 90mph, including the fastest ball of the series at 94.8mph. In 19 balls he took the wickets of three startled West Indies batsmen and transformed the match. To be fair to the decision-makers Wood has never before bowled this fast for England, nor with such potency. He ended with career-best figures of five for 41 and his first four victims were caught in the slip cordon, fine catches since the ball was flying in that direction at high velocity. In an electrifying spell he soon had that slip cordon creeping backwards. 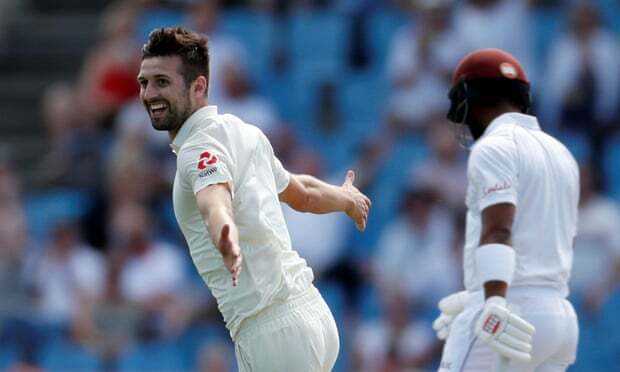 Wood found himself on a hat-trick after the completion of his first over, yet he was not the first England bowler in this innings to be in this position. Earlier, Moeen Ali had dismissed Kraigg Brathwaite and John Campbell with consecutive balls.